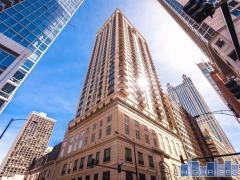 Standing 47-stories tall, 1555 North Astor is located in Chicago's desirable Gold Coast Area. 1555 North Astor was built in 1975. Have any comments or questions about 1555 North Astor? Ask your question and/or share your thoughts about this Building.